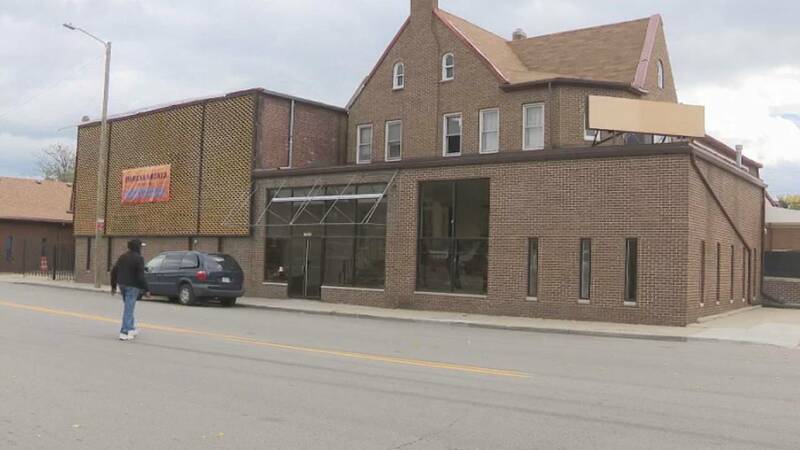 DETROIT - A timeline from the state of Michigan's Department of Licensing and Regulatory Affairs details the investigation into a Detroit funeral home where the decomposing bodies of 11 infants were found last week. On Aug. 28, an anonymous caller reported that corpses were hidden throughout Cantrell Funeral Home, which had been shut down. On Friday, Oct. 12, investigators found the bodies in a hidden compartment located in the ceiling of the building. Nine bodies were found in a cardboard box, two were found in caskets -- all in a hidden section of the ceiling. However, the investigation into conditions at the funeral home began back in November 2017. That's when investigators from LARA's Bureau of Corporations, Securities and Commercial Licensing (CSCL) appeared on-site at the Cantrell Funeral Home to conduct a complaint-related inspection and were denied access by Raymond Cantrell, II. After a series of on-site investigations, Cantrell Funeral Home's mortuary science license and prepaid registration was summarily suspended on April 25, 2018, along with its manager Jameca Boone's mortuary science license. LARA said the suspensions were made "based on incompetence and gross negligence, improperly stored bodies, poor conditions in the embalming room, and prepaid funeral contract funds not placed in escrow, constituting fraud, deceit, or dishonesty and incompetence." "We inspected the physical operations of the business. When we got tips, we searched the building in full," he said. 10/11/85 or earlier: Raymond E. Cantrell Sr. obtained mortuary science LN 4501-004306, and Cantrell Funeral Home obtained mortuary science establishment LN 4502-000604. License history, status, and disciplinary history may be searched atwww.mi.gov/licenselookup. 1/30/87: “Cantrell Funeral Home, Incorporated” incorporated as a domestic profit corporation in Michigan. See www.mi.gov/corpentitysearch. 8/28/87 to 2/15/17: Raymond E. Cantrell, Sr., LN 4501-004306, was the designated manager of Cantrell Funeral Home, Inc. His obituary: https://www.qacantrellfunerals.com/notices/Raymond-Cantrell. 9/30/17: Cantrell Funeral Home, Inc.’s registration under the Prepaid Act lapsed due to nonrenewal.